Once in a while, I am pleasantly surprised by how much I’m enjoying reading a book I wasn’t sure I’d like. 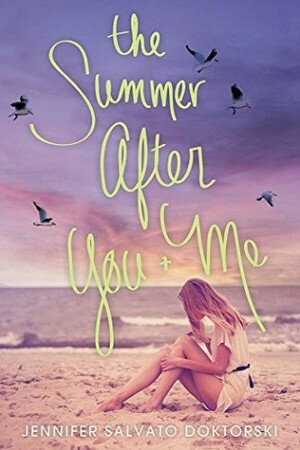 This was definitely the case with The Summer After You and Me – I requested it because it looked like a cute, fun read but was unprepared for how much I liked Lucy, the main character, and the unique way in which chapter opens. Also, I really liked the main love interest guy and that almost never happens with me. The Summer After Me and You takes place on the Jersey Shore and in many ways is very much a story that reads like a love letter to the area. One of the things that caught my interest initially was that this book deals with the aftermath of Superstorm Sandy – the characters that we meet throughout the story either live year round on the Jersey Shore or are summer vacationers with ties to the area. I really liked that aspect of the novel because I love reading about different parts of the world. 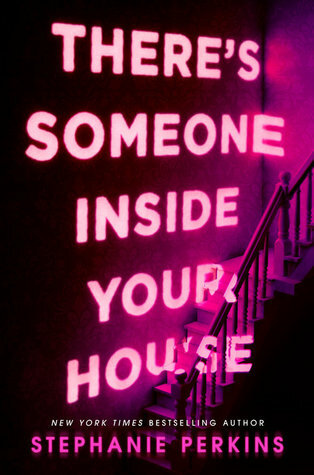 I mean, obviously, this book is marketed as a romance and I did like the often bittersweet romance between Lucy and Connor – they were cute and I believed in them as a couple, but I think what got me in the end was that this is very much Lucy’s story. It’s about where she lives, the places she grew up in and the people she grew up with…it’s about her identity and her a place in the world, and how all of that is shaken by Superstorm Sandy and her romance with Connor. It’s about Lucy growing up and how that sort of inevitably entails saying goodbye to the bonds made in childhood. I do have to say that apart from Connor, I was not a fan of Lucy’s friends, especially her horrible so-called best friend. He is the douchiest of douches and I honestly wanted to shove him off a cliff. I do think though that some of this is done on purpose – because of Lucy’s POV and the fact that she is undeniably growing more distant from her childhood friends as her interests expand and differ from theirs, her friends grate on her as they grow more claustrophobic. This is part of the reason why I liked her relationship with Connor so much; he never stifles her. I also enjoyed Lucy’s friendship with the college guy (I am so bad at names but whatever) who shares her interests and introduces to the larger world beyond the borders of the Jersey Shore. One more thing that I absolutely loved – the unique chapter openings. Lucy works on a paper throughout the novel that she bases on the mating behaviour of animals and then compares to human behaviour. So you get really fun facts about animals written in this deadpan tone and it just tickled me so much. So yeah, I definitely recommend this book. It is cute and romantic but is surprisingly full of depth. So glad to see a review for this one! I love the cover and always want to pick it up in the store but haven’t seen a lot of reviews yet. It looks cute and sounds awesome. I’ll have to give it a try! Aw, this one sounds like one of the books I would make grabby hands at and then gush over for months. I like the idea of Lucy growing into herself, and that it has depth. I’ll have to look for it! Thanks! how to handle it and this was never more clear when we saw the Vogue Italia cover for June 2011. I was not interested in this title, but after reading your review, I am intrigued. I love books that surprise you and even more so, books that you enjoy more than you think you would. Will have to look into this one. Thanks for bringing it to my attention!